OKLAHOMA CITY – The first time Juan Morales appeared in court 40 years ago, the judge gave simple instructions to keep his knees from shaking: Avoid sentence constructions using the words “he said” and speak in the litigant’s voice. Morales and his employees rarely ever address the court on their own behalves or study contracts for personal interests. That would be counterproductive to the tasks for which Oklahoma City-based Language Associates is hired: translation and interpretation. As the judge pointed out, Morales is merely a vehicle or tool, the intermediary necessary to make one language understandable in another tongue. That skill requires a deep understanding of context as well as strict literal equivalencies, he said. Morales said his best translators are college-educated, native speakers of foreign languages who learned English as a second language. A bilingual childhood environment is often an added benefit. Only by spending many years within a language can the translator-interpreter become fluent enough for the speed and memory required in professional work, he said. Translators deal with written language while interpreters are used for spoken communication; some people can do one but not the other. Morales specializes in Spanish and English, and he understands Italian well enough to enjoy certain scenes from The Godfather. Language Associates holds a majority of contacts in Oklahoma for court interpretation and government agency translation services. His company can handle a wide range of languages, including Arabic, Farsi, Vietnamese, Mandarin Chinese and Russian. 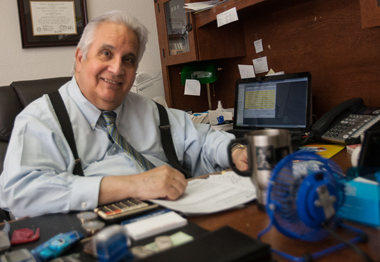 Morales himself holds the highest level of federal certification for court work and trains others for the certification test. Morales said demand for his services in the metro area has grown dramatically in recent years, primarily because more Spanish speakers have relocated to the city. “There is a tremendous need for qualified people in this business,” he said. “There is no need for unqualified people. A lot of people think that learning Spanish in high school is good enough to be an interpreter. But you cannot be looking through a translation book while you interpret what someone is saying. It must be automatic and it must be correct.